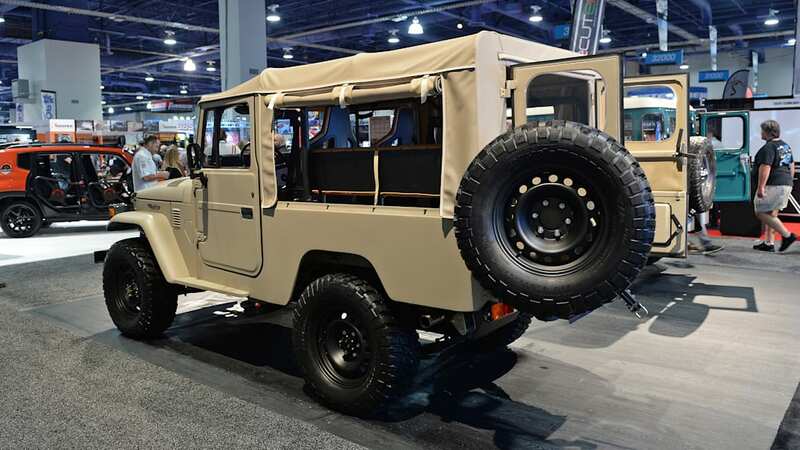 Simply put, The FJ Company builds some pretty sweet vehicles. 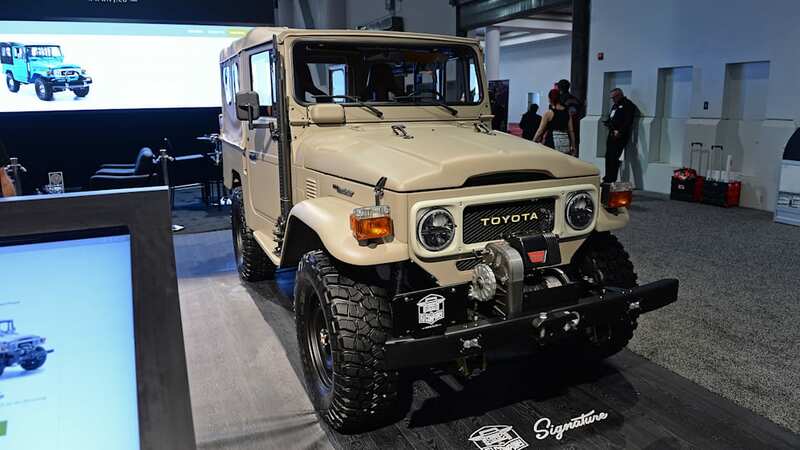 Go to its website and you can spend hours building and lusting over the perfect classic Toyota off-roader. These high-end, high-quality builds don't come cheap, but you'd be hard pressed to find a better-built and more tastefully done FJ build. 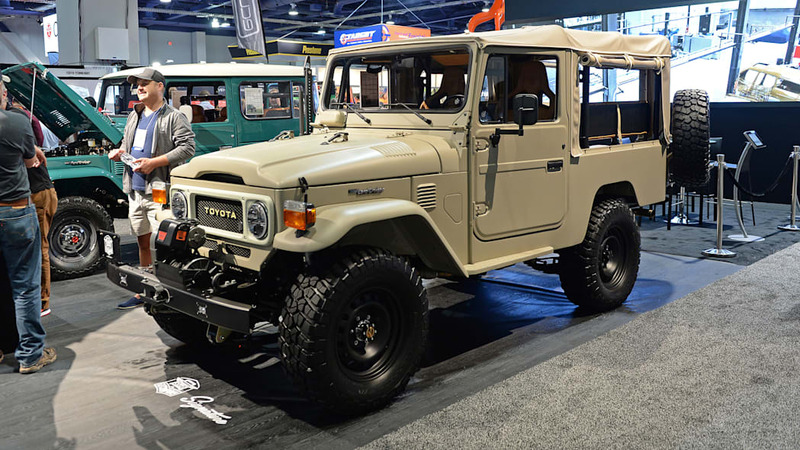 At SEMA 2017, The FJ Company debuted its latest model, the range-topping Signature build. 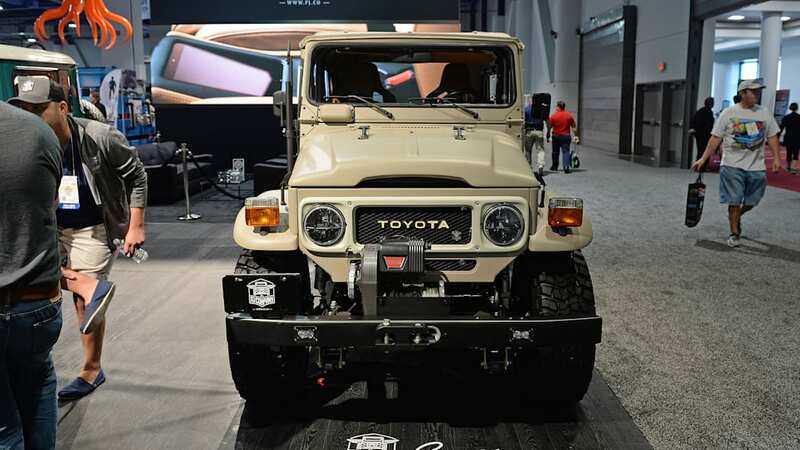 On the surface, it doesn't look all that much different than any other Toyotas to roll out of The FJ Company's shop. Look closely and you'll find all that a number of details have changed. 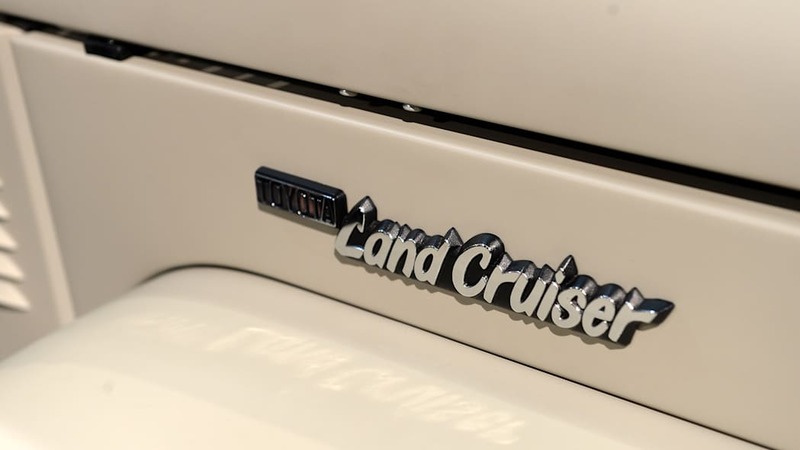 This latest project started life as a 1981 Toyota FJ43 Land Cruiser. A frame-off restoration restored the frame and bodywork to like-new condition. 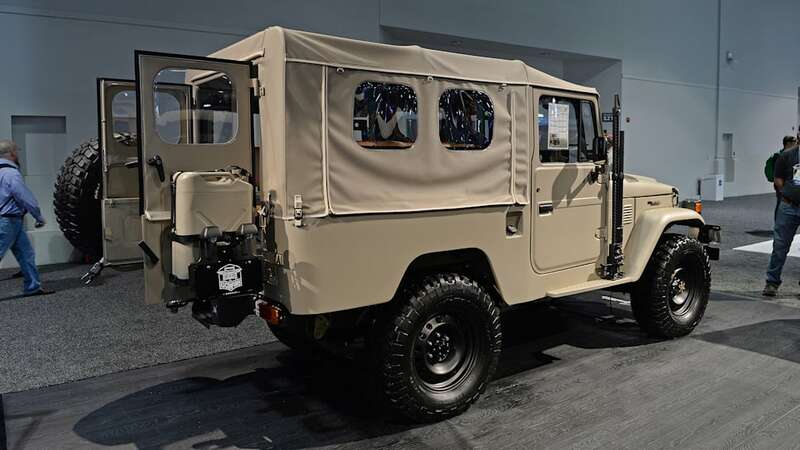 It was painted in Toyota's Dune Beige color with a matte finish. From there things get far more detailed. 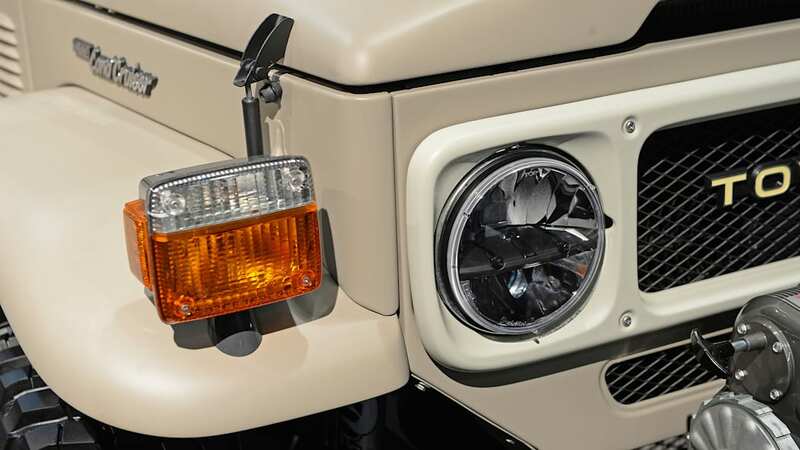 On the outside, both the mirrors and fuel cap were cut from CNC machined aluminum and painted gunmetal grey. 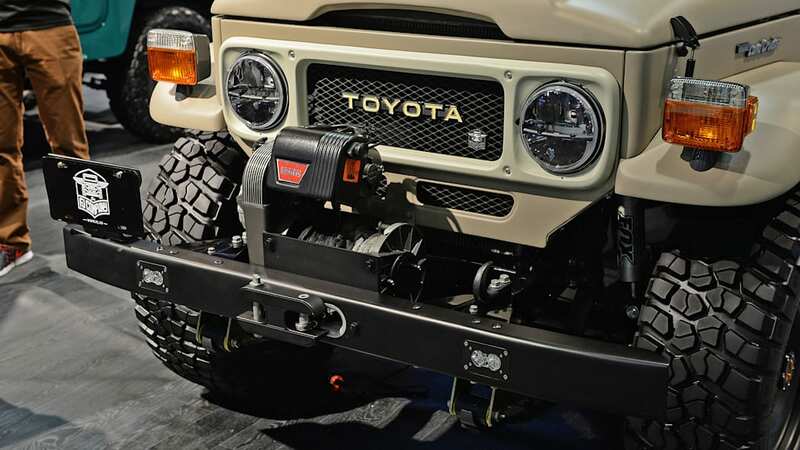 The front 40-series bumper has a Warn 8274 winch mounted, a custom hawse fairlead and Baja Designs LED fog lights. 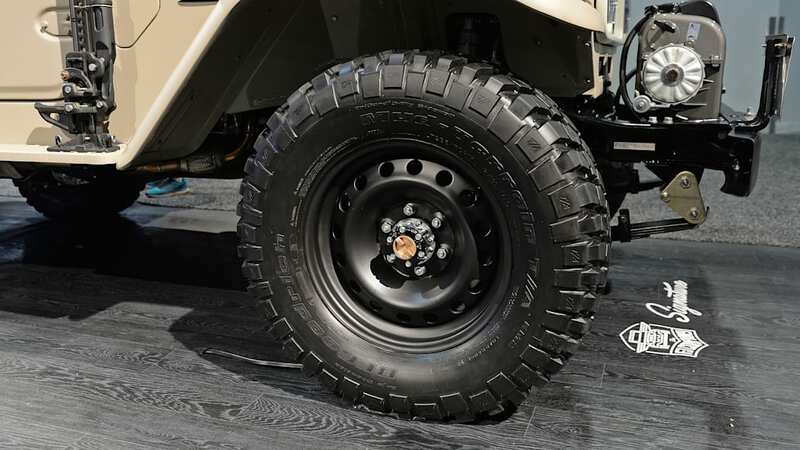 The FJ has been fitted with four-wheel disc brakes from a 2017 Toyota 4Runner as well. The suspension has been upgraded with Fox Shox and new leaf springs from Old Man Emu. One of the biggest changes rests under the hood. 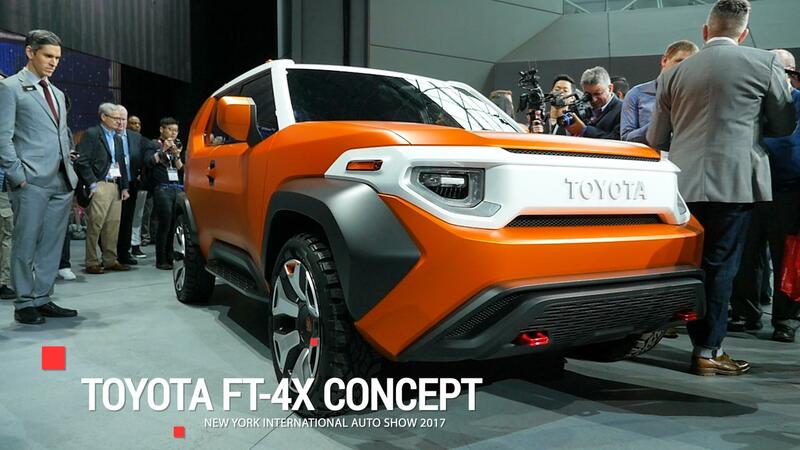 In the Signature model, the old straight-six has been replaced by a new 240-horsepower Toyota 1GR-FE 4.0-liter V6. 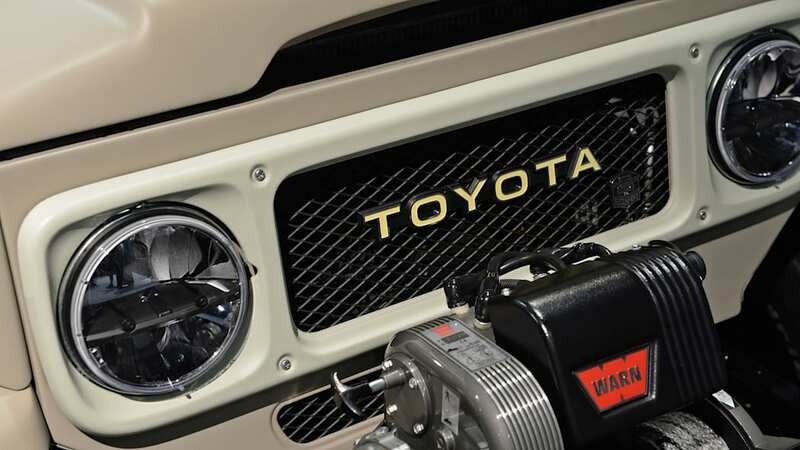 That engine can be found in everything from the 4Runner to the Land Cruiser Prado. 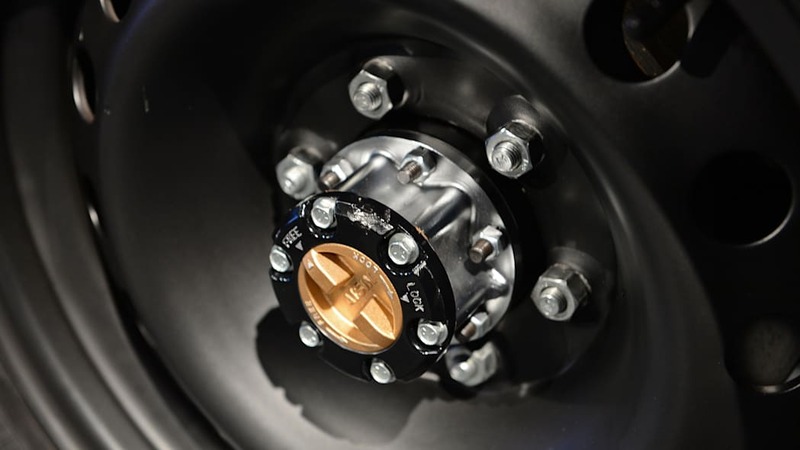 It comes with a Haltech programmable electronic fuel injection system. 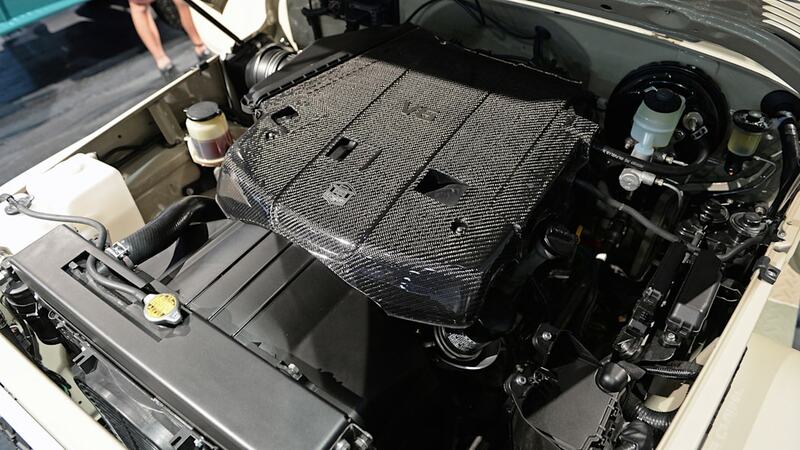 The SEMA show car comes with a carbon fiber engine cover. The interior is where the Signature model really sets itself apart. The window levers, door handles, pedals, shifters and pull knobs are machined aluminum and painted to match the mirrors and fuel cap. The heated Recaro Sportster CS seats are covered with high-quality leather. That same leather covers the rear bench seats as well as the door panels, shifter boots, center console and sun visors. The console itself is fitted with an Apple iPad and controls for the A/C system. All in, the Signature model starts at $200,000. That's a substantial increase over the $85,000 base price of the Classic model. Still, there are worse ways to spend your cash.